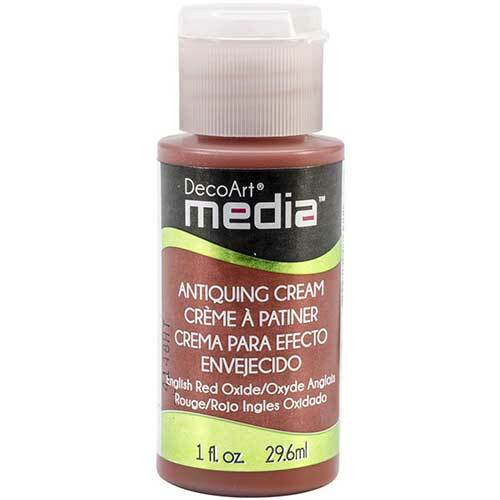 Media Antiquing Creams are ideal for antiquing on non-porous surfaces. 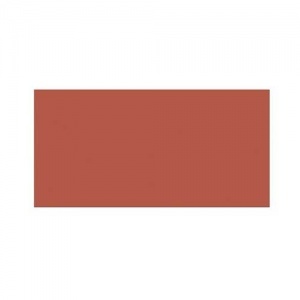 They are opaque, matte and non-permanent for unlimited working time prior to sealing. Once cream is dry, you can easily wipe it back from undesired areas with a damp cloth. 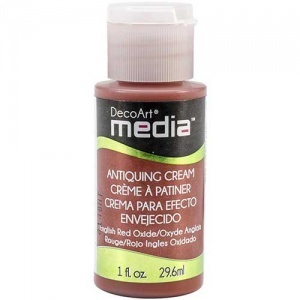 Creams can also be buffed to a high sheen, easily sanded and distressed once dry. 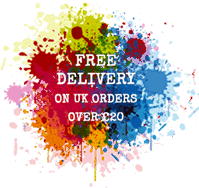 Can be sealed with Media Varnishes for a permanent finish. Water-based and non-toxic.